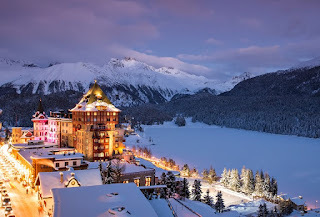 St. Moritz is a high Alpine luxury, chic, exclusive, cosmopolitan and stylish resort in the Engadine in Switzerland that enjoys over 300 days of sunshine a year. St. Moritz is a popular tourist destination for the upper class and international jetset. It is also regarded as the most expensive ski resort in the world, with many luxurious five star hotels and upscale shops. Every winter it hosts the "White Turf" horse race on Its eponymous frozen Lake St. Moritz attended by the international upper class. The frozen lake is also the setting for skating, curling, golf, polo, show jumping, and even cricket. 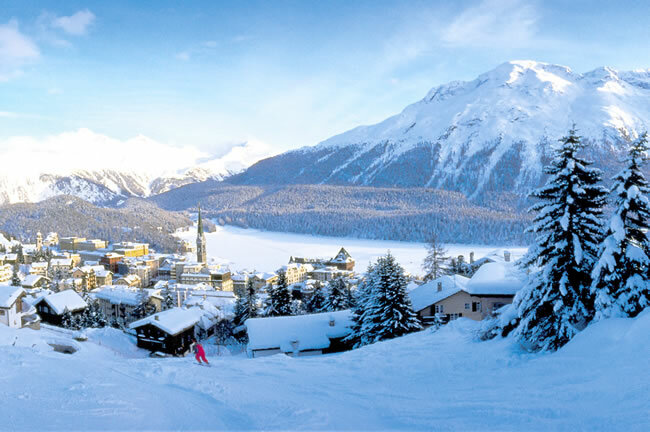 St. Moritz remains the best all-round wintersports resort in the world. The resort's bob run is the last remaining natural course in the world. In March, St Moritz hosts the Engadin Skimarathon, Switzerland’s largest cross-country race with as many as 13,000 entrants. St Moritz's position at 1,856m in the Engadin Valley in the south of Switzerland, close to the frontier with Italy, gives it a rare combination of snow reliability and 300 days of sunshine each year with excellent ski areas in St. Moritz’s local mountain Corviglia and the neighbouring Corvatsch, Zuoz and Diavolezza. The ski resort has 58 lifts and 350km of pistes and is divided into four separate sectors. 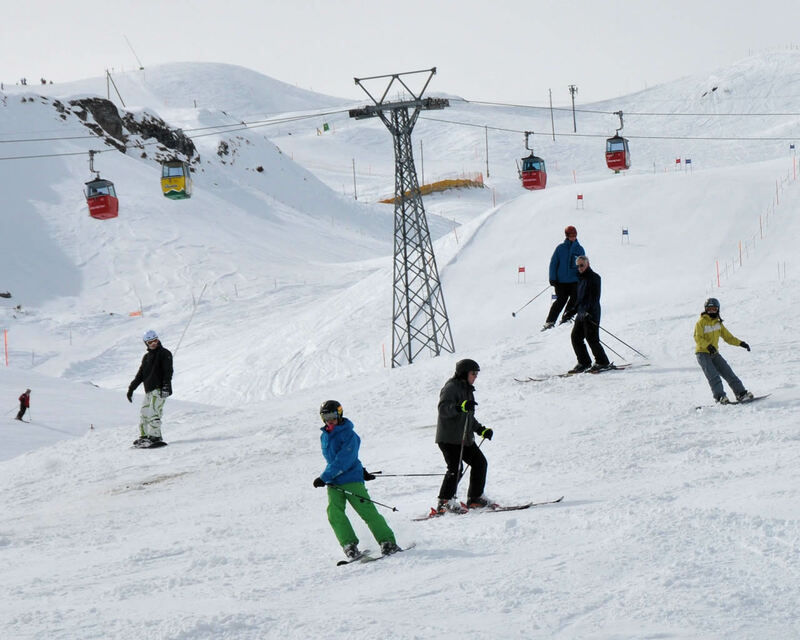 The bottom lift is at 1,800m and the top of the ski area at 3,305m. The Corviglia skiing area is home to 15 mountain restaurants ranging from simple, home-made specialities through to first-class gourmet dining offering caviar and champagne. The resort itself is divided into three separate villages around or near the lake. This is an important fact to take into consideration when booking a hotel. St. Moritz‐Dorf, on the shore of the lake, is the glitzy one with most of the five- and four-star hotels as well as the pick of shops, nightlife, and restaurants. Winter Olympic games have been held twice in St. Moritz‐Dorf, in 1928 and again in 1948. Badrutt’s Palace is a historic luxury 5-star hotel in St. Moritz‐Dorf. 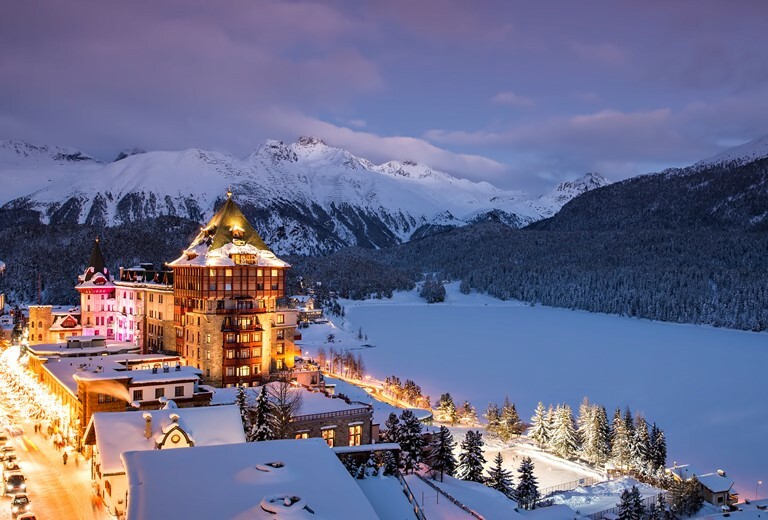 St Moritz-Bad is less than 2km – a four-minute drive – away, and an altogether more tranquil and less showy location and home to the five-star Kempinski Grand Hotel des Bains. It has lifts up to the Corviglia ski area. Celerina, 3km away on the other side of Dorf, with its celebrated church of San Gian, also has its share of sumptuous hotels. Its strong Italian following has earned it the name of Piccolo Milano (Little Milan). From the charming village a gondola leads straight up to the family-friendly ski area of Corviglia/Piz Nair. 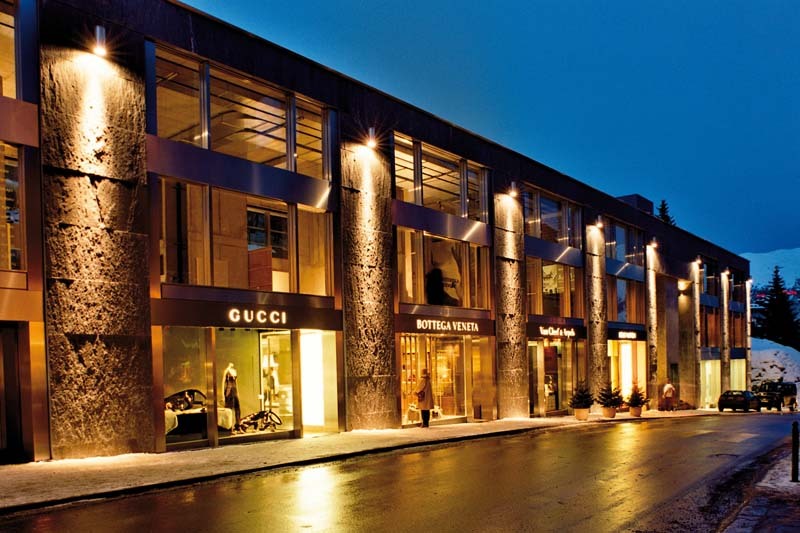 St. Moritz is home to an extensive collection of fashion boutiques. Via Serlas is St. Moritz’s stylish shopping boulevard and home to major labels like Jimmy Choo, Gucci, Louis Vuitton, Roberto Cavalli, Emilio Pucci, Ralph Lauren, Chanel, Bottega Veneta, Valentino, Cartier, Tom Ford, Versace, Giorgio Armani, Ermenegildo Zegna, Van Cleef and Arpels and other prestigious names on the international fashion scene. In addition to the fashion labels, St. Moritz shoppers will also find dazzling gemstones, stylish designer furniture, exquisite wines and a superb choice of delicatessens on Via Serlas. More major labels and boutiques can be found in the village centre like Hermes, Brioni, Brunello Cucinelli, Dolce & Gabbana, Dsquared2, Etro, Marni, Prada amongst others. 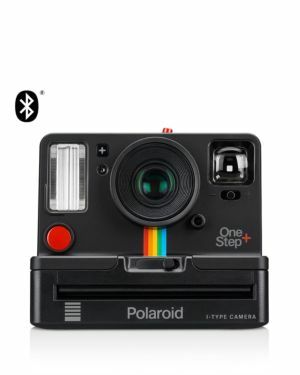 Celebrities that have been spotted here include: Robbie Williams, Claudia Schiffer, George Clooney, Charlie Chaplin, Alfred Hitchcock, John Travolta, Robert De Niro, Elizabeth Hurley, Tina Turner, Naomi Campbell, Boris Becker, Elizabeth Taylor, Greta Garbo, Brigitte Bardot and Ivana Trump.